Drive around Mercer County near Princeton, and there's a chance you'll come across Province Line Road. Since you'd be comfortably inland from the state boundaries of the Delaware River and the Atlantic Ocean, you'd be excused for wondering how that name came about. The road certainly isn't marking any contemporary boundary, so what's the deal? Look at the map on the plaque, and you'll see a dotted line above Three Bridges. That's where the fun starts. Naturally, when land is conveyed to new owners, boundaries are decided upon, but when it came to East and West Jersey, the process wasn't as simple as a brief discussion over a map. 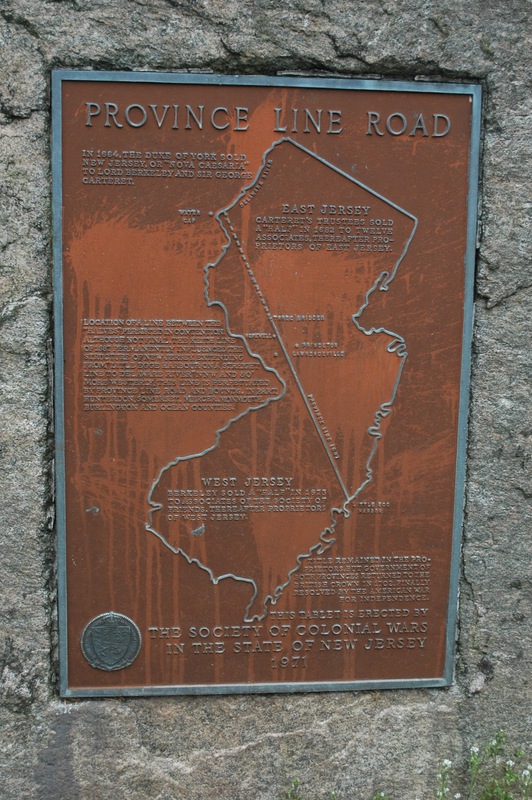 The Duke had divided the east and west provinces with a diagonal line reaching from Little Egg Harbor on the Atlantic to the spot where New Jersey and New York meet on the Delaware River. Sounds easy, right? It would have been, but that border wasn't officially settled until 1769. You can see the problem. East-west lines were drawn in 1687 and 1719, but the one that stuck was plotted in 1743 by John Lawrence, now marked by Province Line Road near the plaque I found. Nonetheless, the proprietors of continued to squabble over the boundary for another 140 years. These guys really took their jobs seriously, even after their work ceased to have much relevance from a property-deeding perspective. They could learn a lesson from Steve Chernoski, the documentarian who's tackled the mystery of the line between North and South Jersey. Drive around a bit, ask the locals which side they identify with more, and decide by acclaim. I wish I could report that the full length of the road is as pin-straight and travels clear to Little Egg Harbor, but it's not and it doesn't. About a mile away from where I took this photo, I ran into a dead end and had to resort to an intersecting street. Looking at the map when I got home, I discovered the road makes some twists and turns before terminating near a shopping mall. Hi, Aletheia - We haven't found the coastal end of the boundary, but we're keeping an eye out when we visit the Egg Harbor area. It's bound to be there somewhere! Living in Lawrence Twp, I often take Province Line Road to the Nassau Park Shopping Mall. I never followed it north. 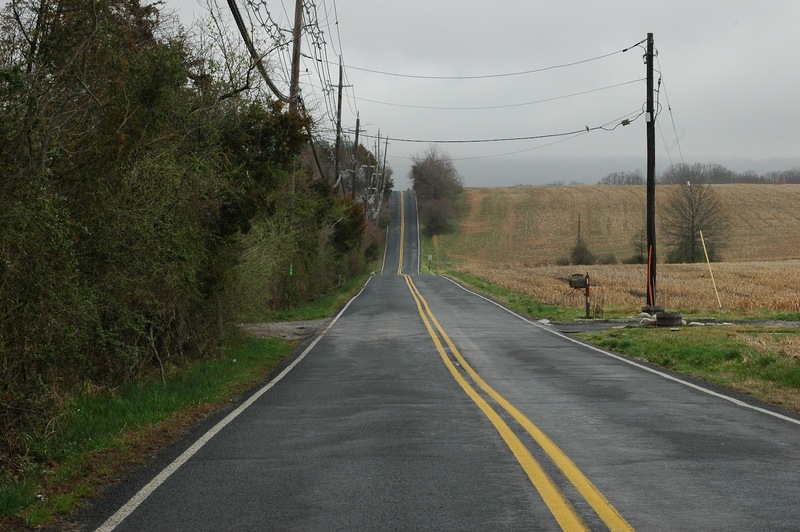 as for many years there was a traffic barrier as it crossed Rosedale Road in Princeton which simply said "Bridge Out." 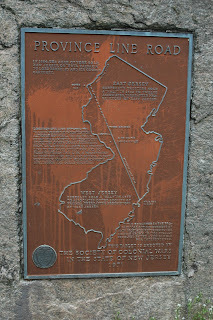 I do remember seeing the Province Line Rd sign as I traveled along Cherry Valley Road (which I believe forms the boundary between Mercer and Hunterdon counties) but never explored heading back south on Province Line Road. It's curious that you didn't discover there is much more of Province Line Road if you travel a little further south. 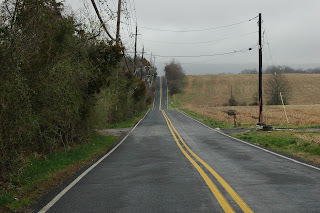 Below Allentown there is another long,straight run along the county line between Monmouth and Burlington, that goes all the way into Arneytown. It then doglegs around some historic homes there, and continues on into Ocean county at Plumsted Township. Also some interesting historic spots along the way, like the old single lane truss bridge over Crosswicks Creek, Stoney Hill, and the Arneytown Tavern (ca. 1730). Just look at any County and Municipalities map of New Jersey and you'll see the original line that today marks the boundaries of towns and counties. In the southern end of Robbinsville, the end of Richardson Rd. meets with Edgebrook Rd. This small segment of Richardson Rd. marks the boundary between Hamilton and Robbinsville Townships and is the Province Line.